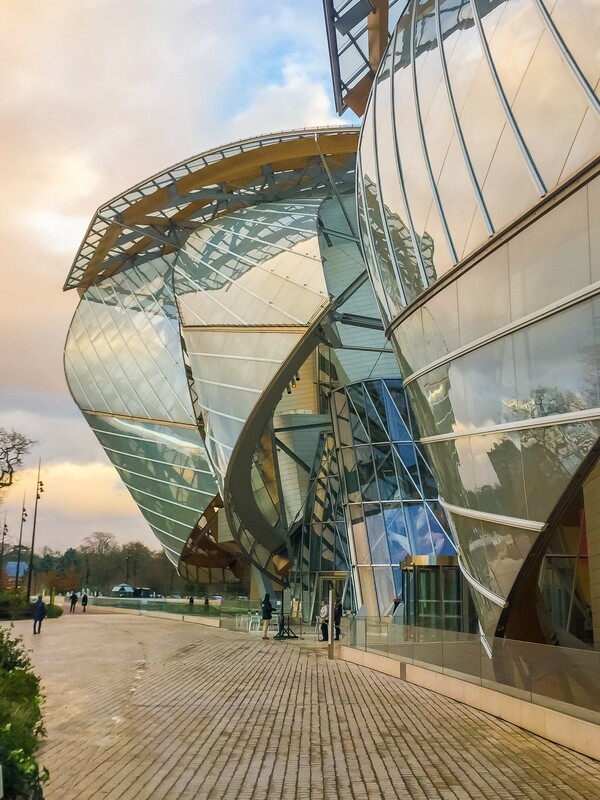 The Fondation Louis Vuitton opened an inspiring new artistic episode for Paris. 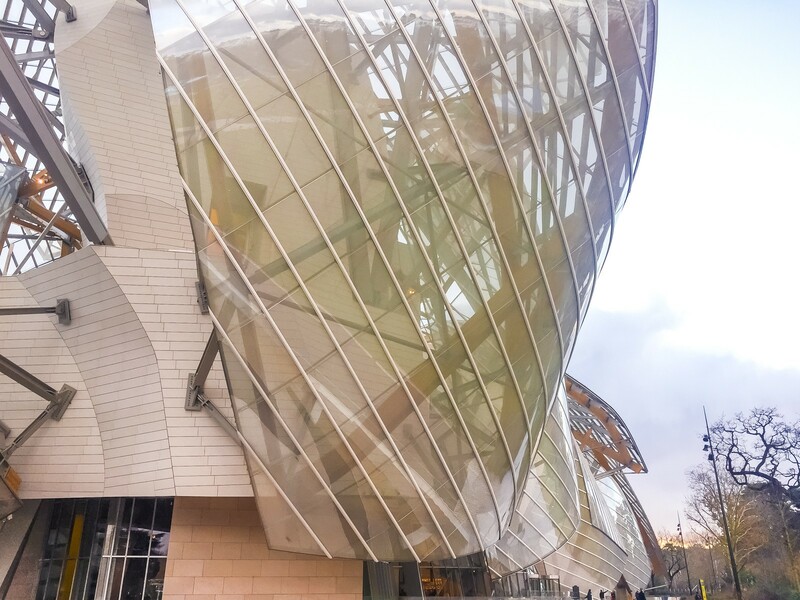 Designed by Frank Gehry, the museum hosts modern and contemporary art exhibitions and concerts, and it is a must-see institution in Paris. 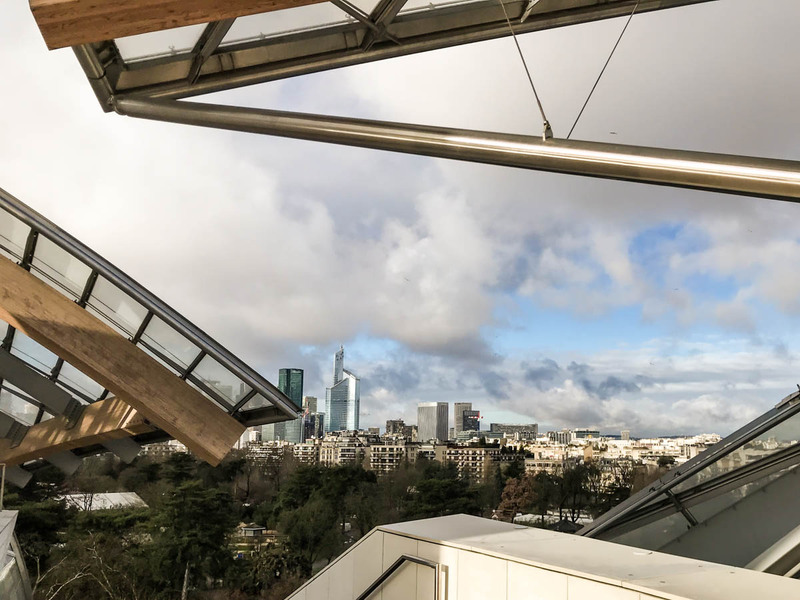 Located on the frontier between the Jardin d’Acclimatation and the Bois de Boulogne, at the western end of Paris, the museum represents a vessel composed by 12 glass sails, an “Iceberg” and a water garden created for the occasion. 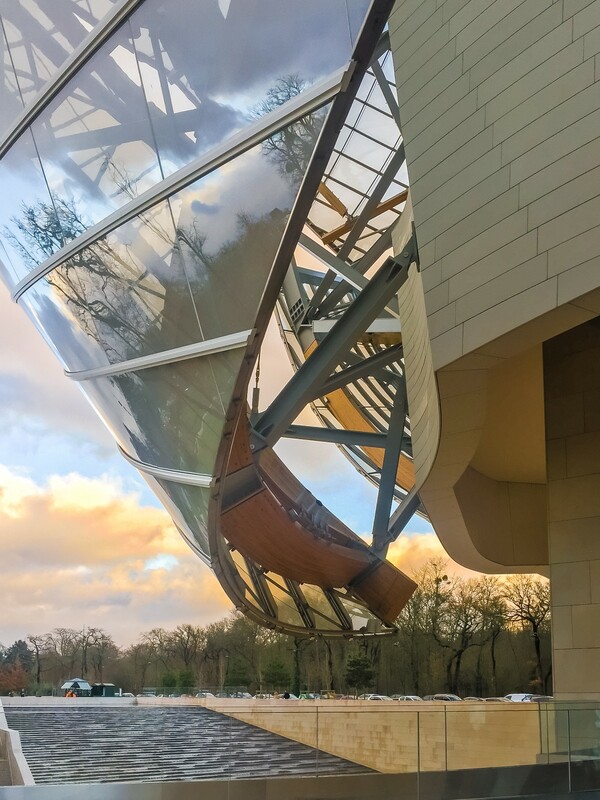 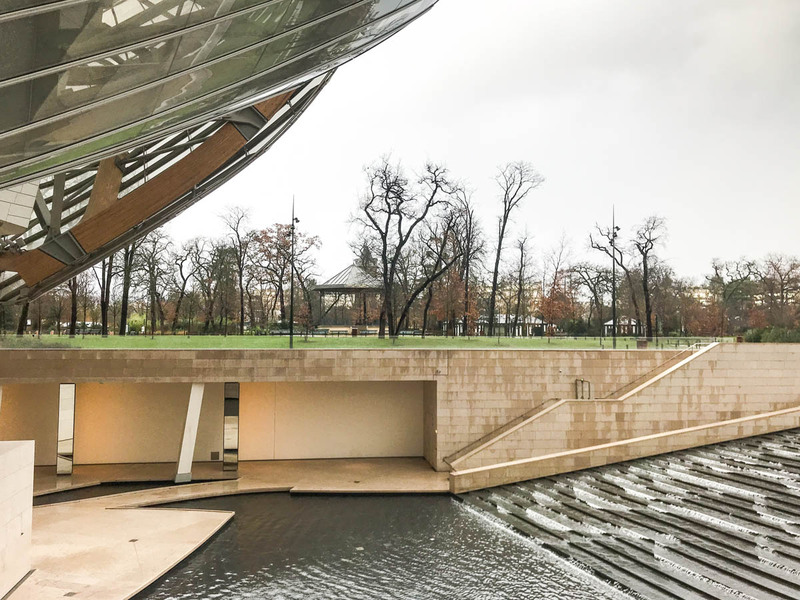 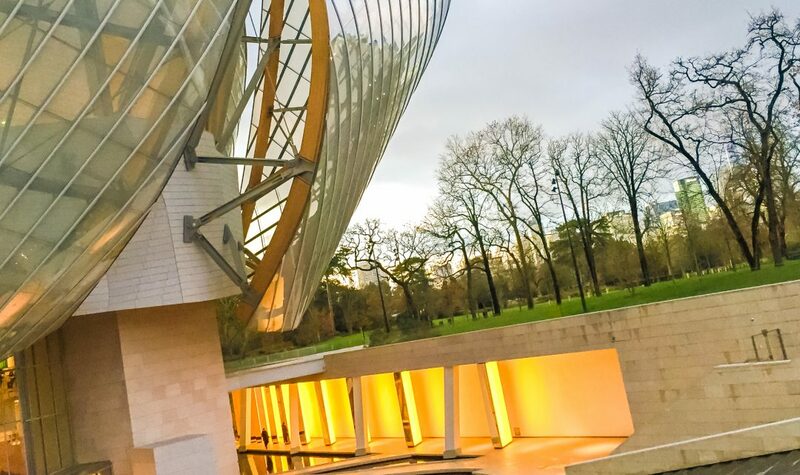 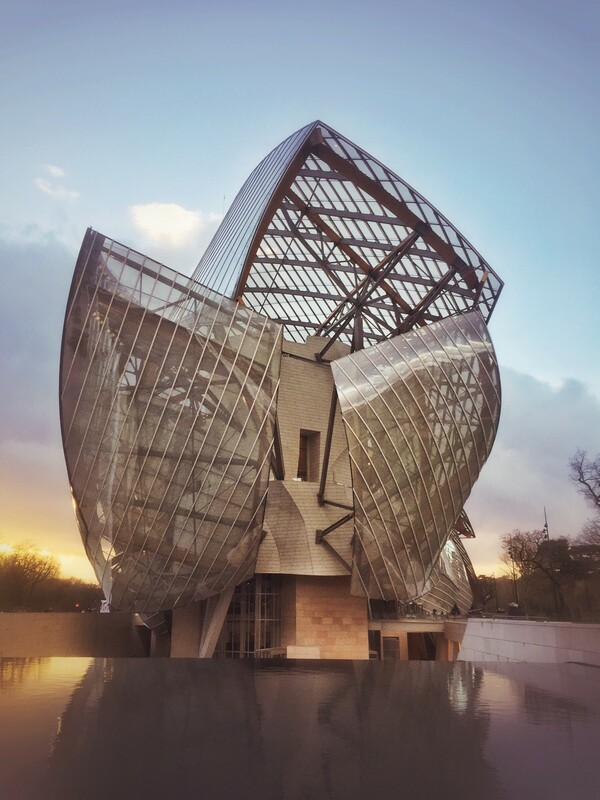 We wanted to present Paris with an extraordinary space for art and culture, and demonstrate daring and emotion by entrusting Frank Gehry with the construction of an iconic building for the 21st century. 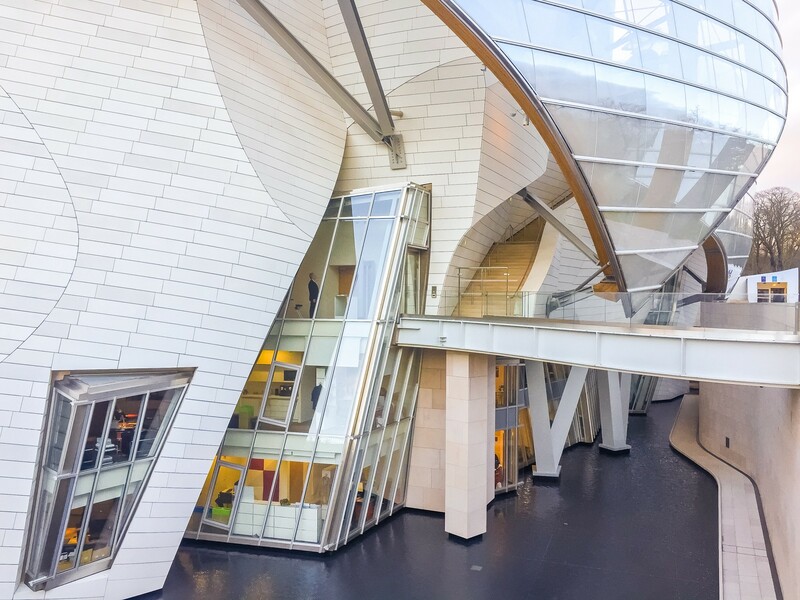 Gehry took his inspiration from the brightness of late 19th-century glass and garden architecture to make his first drawing. 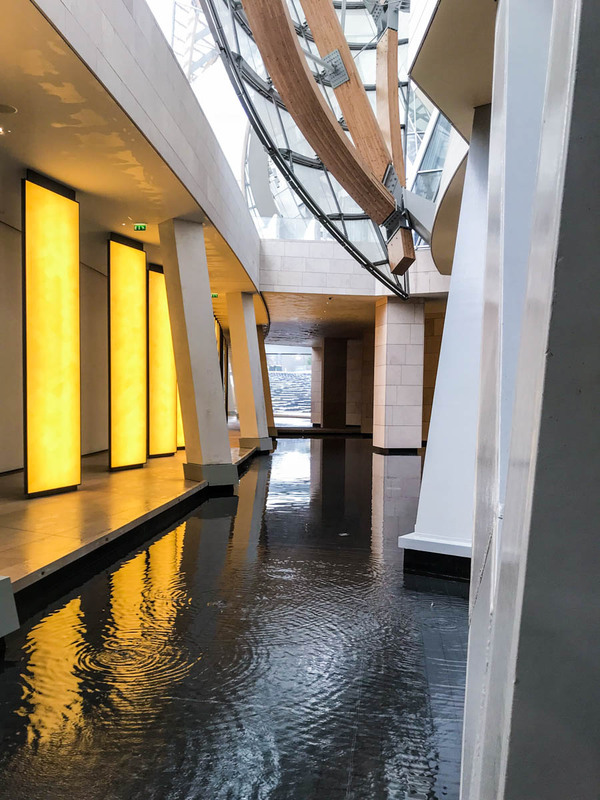 Glass is the primary material of the building for its ability to express the idea of transparency and to change aspect with the passing of the hours and the changing of light. 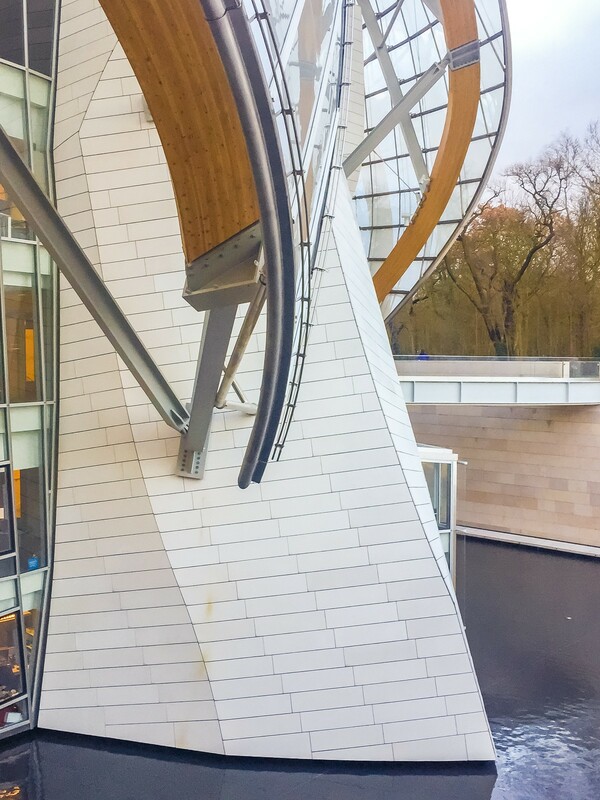 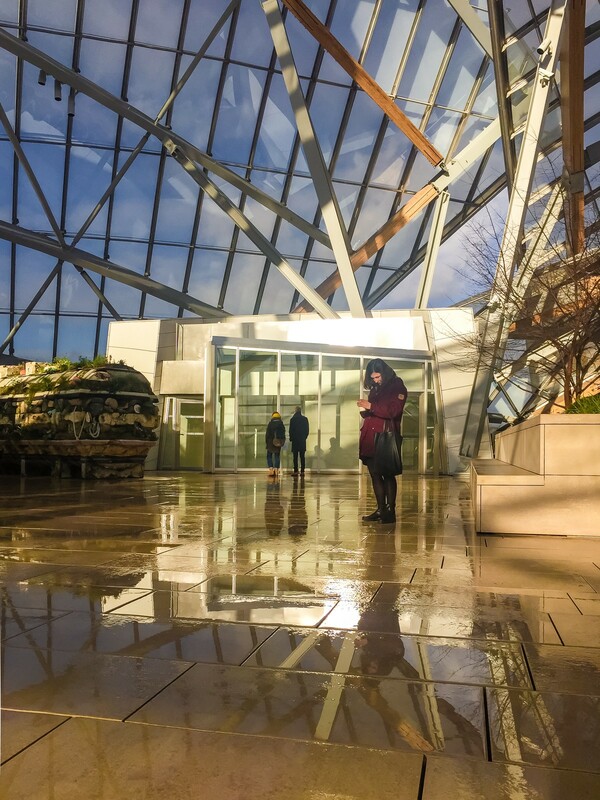 The building’s extraordinary roof takes the form of boat sails blown by the wind, with 3600 unique glass panels. 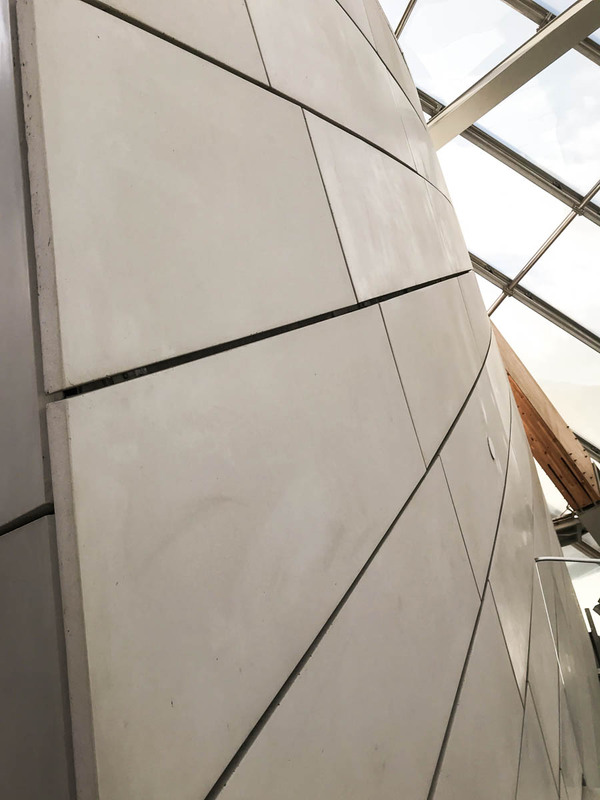 These panels were individually developed, using design software specially adapted for the aviation industry, to fit the shapes drawn by the architect. 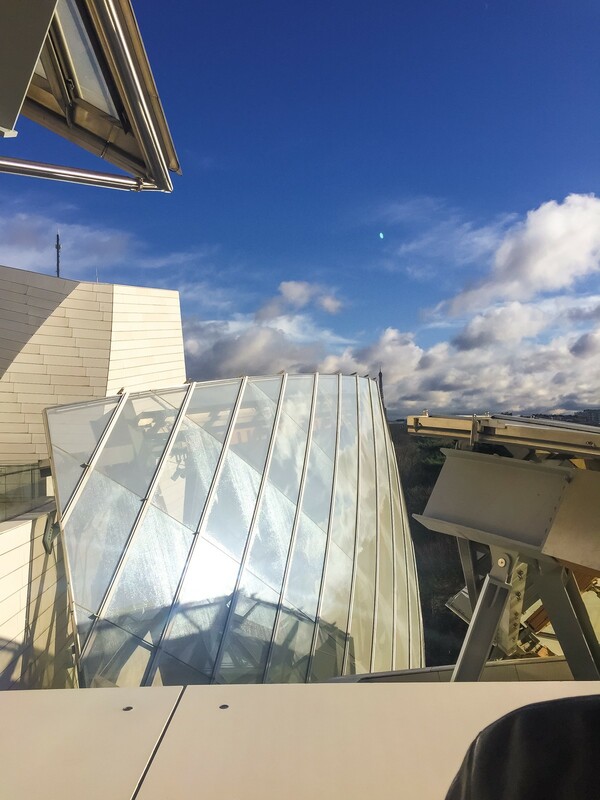 The glass sails are a cover for the so called “Icebergs” – an assembling of blocks covered in 19,000 white sheets of ultra-high performance fibre-reinforced concrete, known as Ductal®. 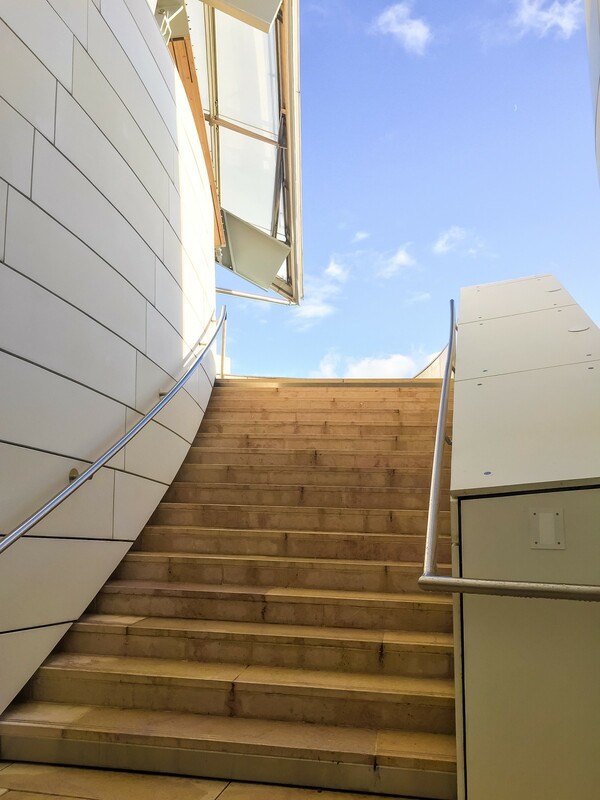 The Icebergs are the core of the museum, containing all its different functions: exhibitions rooms, foyer, cafè and the auditorium. 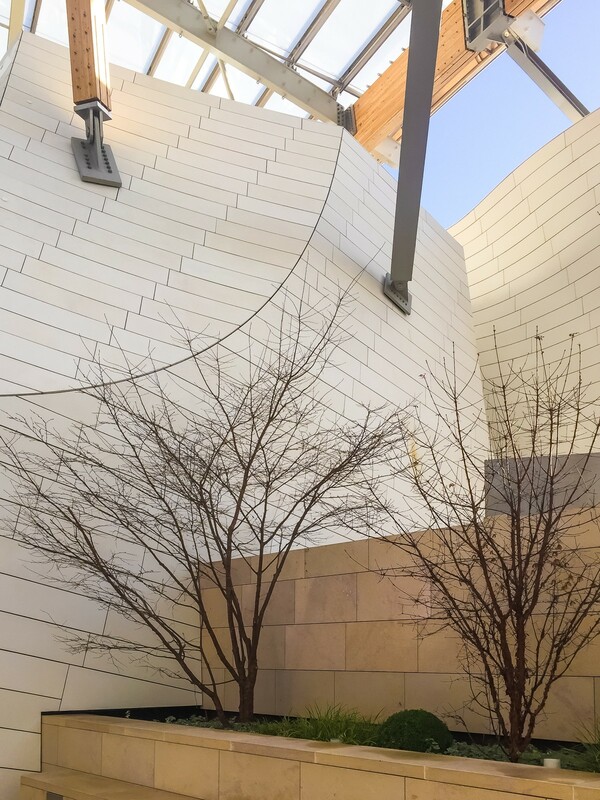 The museum’s privileged setting in this landscaped garden, its creative and innovative architecture and the new cultural hub that it intends to represent for as many people as possible are designed to attract both local families and tourists from all over the world, along with architecture and contemporary art enthusiasts. 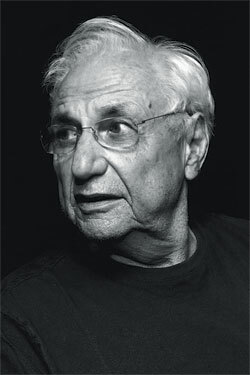 Frank Gehry was born Frank Owen Goldberg in Toronto, Canada on February 28, 1929. 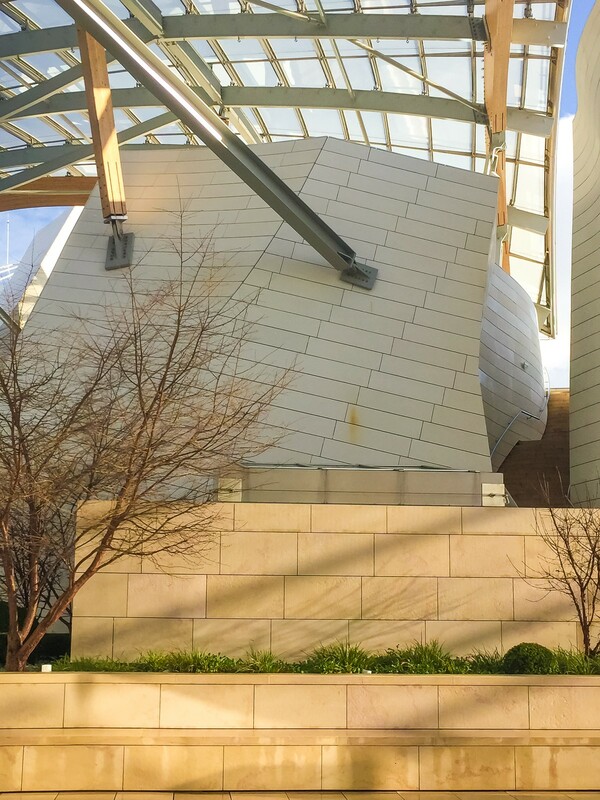 He studied at the University of Southern California and Harvard University. 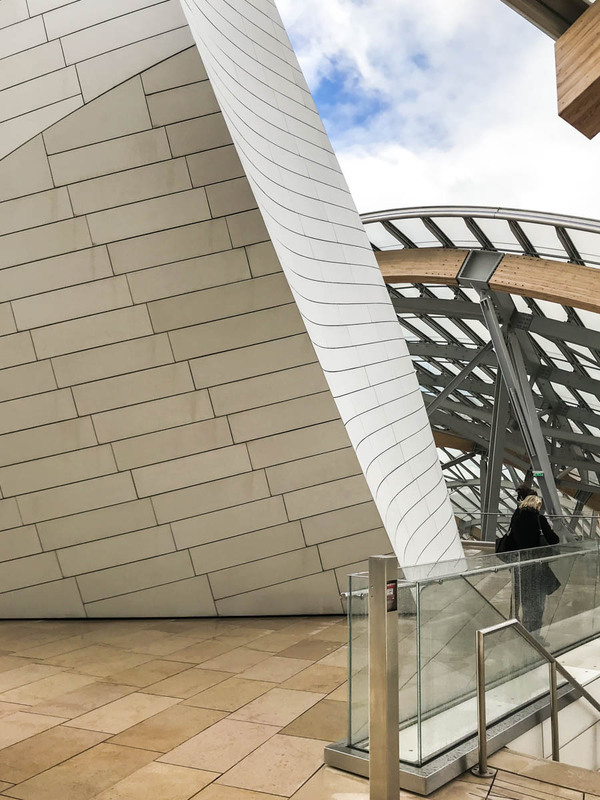 Gehry, based in Los Angeles since the 1960s, is among the most acclaimed architects of the 20th century, and is known for his use of bold, postmodern shapes and unusual fabrications. 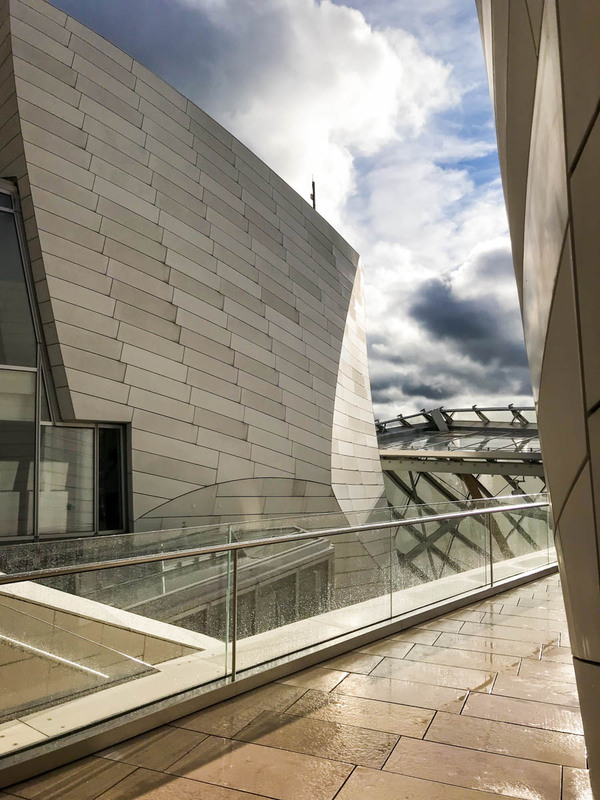 Gehry’s most famous designs include the Walt Disney Concert Hall in Lost Angeles and the Guggenheim Museum in Bilbao, Spain.